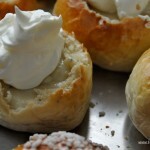 Around Shrove Tuesday, however, we make plain pulla and fill them with almond paste (marzipan) and cream. 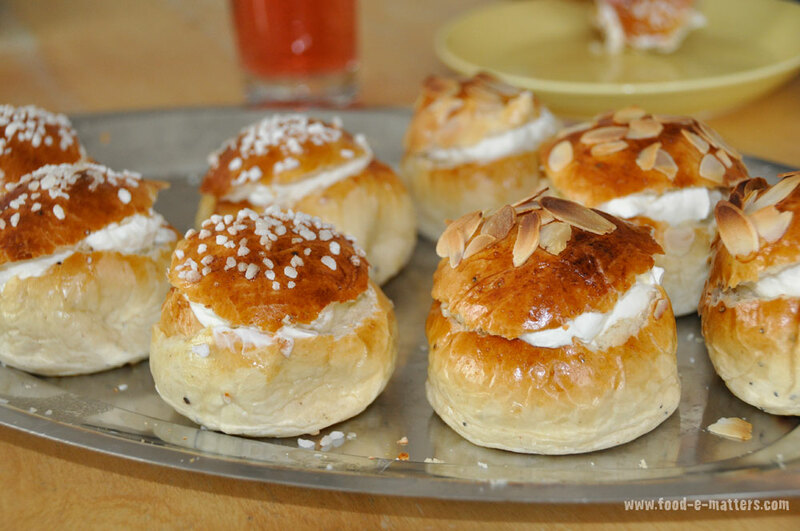 And for those who do not like almond paste the buns gets filled with jam and cream. 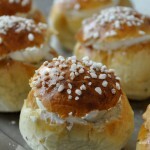 Here is the recipe for the plain buns, as well as the Shrove Tuesday variation. Dissolve the yeast in lukewarm milk. 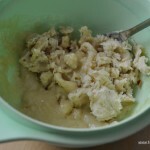 If using dried yeast, blend the yeast in the flour. Stir in the salt, sugar and cardamom. Add the flour gradually. Whisk first but once the dough thickens use a wooden spoon and in the end, your hand. Alternatively, use a dough machine. Mix the dough by kneading well. Add the melted butter (must not be hot, it will kill the yeast) towards the end and keep kneading until the butter has all mixed in. Let the dough rise, covered with a cloth, in a warm draft-free place until it doubles in size. When the dough has risen, pour the dough onto a floured surface and knead until all the air bubbles are gone. Divide the dough first in half, then those halves into other halves and carry on until you have 32 equally sized dough balls. Make fewer if you want bigger buns. They will rise and grow bigger in the oven though. 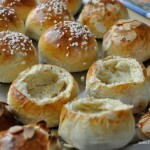 Roll the dough balls into firm buns. You do this against the baking surface by holding the dough ball under your cupped palm, rolling and pushing gently. You will need little bit of flour to avoid it sticking but not too much as then the rolling becomes difficult. I am sure you will soon get the hang of it. Place the balls onto a baking tray covered with baking parchment. Leave little space between the buns as they will grow in size. Cover the buns and let them rise for about 15-20 mins. Break the egg in a glass and mix well with a fork. You will need this for brushing the buns. After the buns have risen and just before baking them, brush the buns with the egg. This will give the buns a nice, shiny surface. Sprinkle with nib sugar or almond flakes if desired. This is not necessary but will make the buns look pretty. Bake at 225° Celcius for about 10-15 minutes, until they are golden brown. Once the buns have cooled down, cut the top of the buns off and set the tops to the side. Remove most of inners of the buns, so that you make a fillable hole in the bun without breaking it. 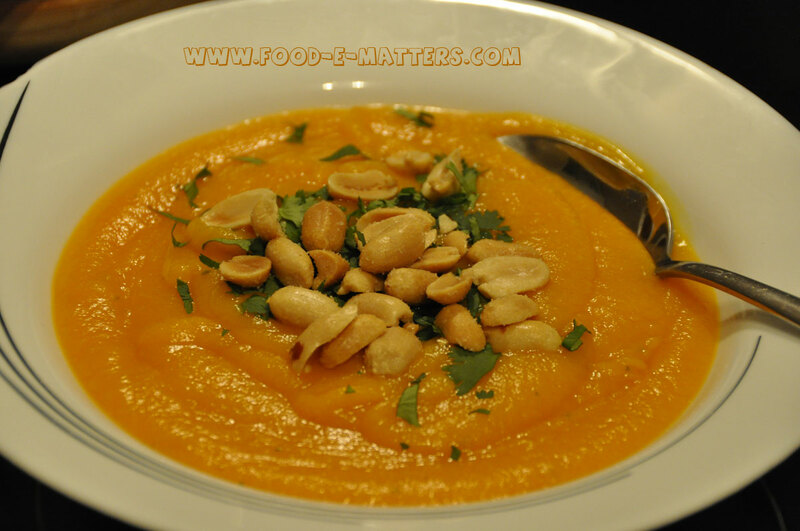 Place the ‘inners’ into a bowl and mix it with the almond paste (a tip: heat the supermarket bought paste gently up in a microwave to make it softer and easier to work with). 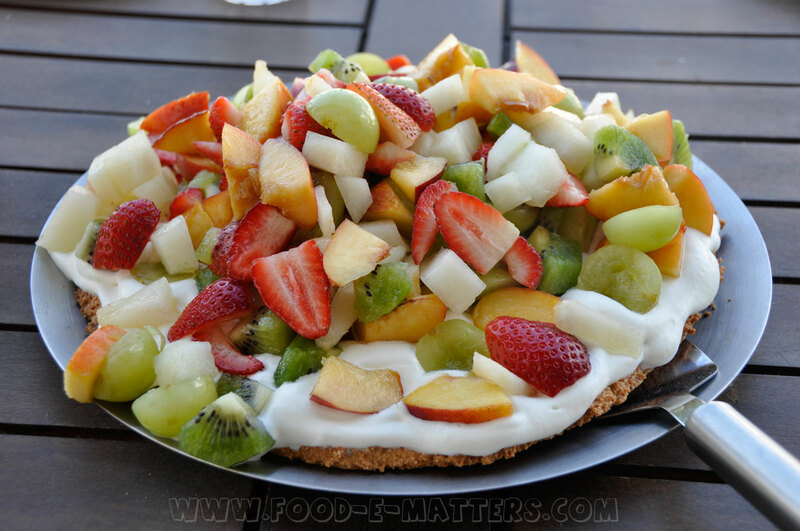 Use some of the unwhipped cream to make it a smooth mixture. 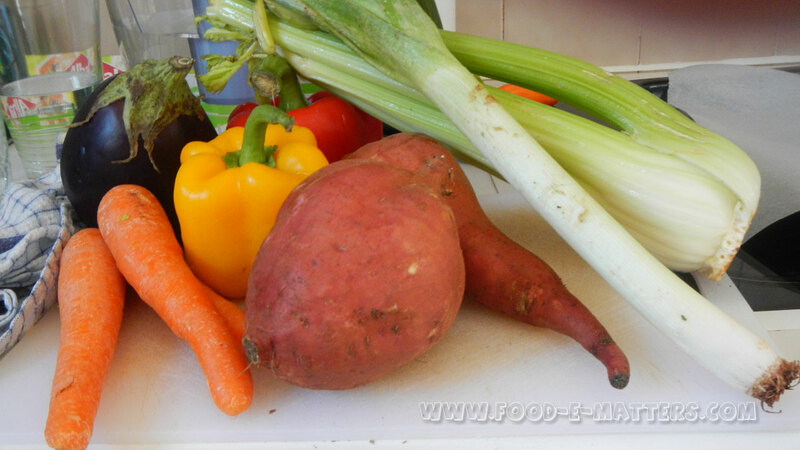 Now, fill the buns with this amond-bun mixture. 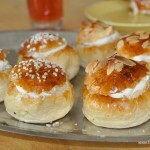 Whip the cream, add a dollop on top of the buns and place the bun lid back on top. Voilà. Enjoy. 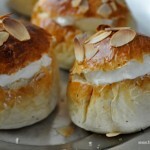 If you are using jam in stead of the almond paste, only make a small hole into the bun. Eat ‘the inners’ and fill the bun with jam and cream.